Have you always dreamed of transforming your backyard from a rectangle of grass into a private getaway, complete with an in-ground pool? Let family owned and operated Taylor & Son Construction partner with you to create the retreat of your dreams! Based in Lindsay, Ontario, and serving home owners from Peterborough to Uxbridge, our team provides everything from pool sales and installation to home renovations to construction services. At Taylor & Son Construction, you never have to worry about showing up at your home and finding unfamiliar workers because we never subcontract our work. 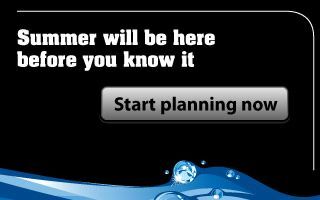 From beginning to end, you’ll deal directly with our owner, and he’ll always be on hand to answer your questions and make sure your new pool or other project is completed to perfection. Since 1988, we’ve been cultivating a reputation of reliability, trustworthiness and competitive pricing that we’re proud of. We’re pleased to provide you with references from our many satisfied clients—just ask! You might even have heard of our great work already, as many of our new clients come to us via referral. 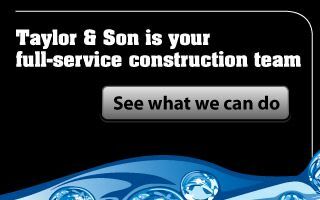 We invite you to find out for yourself what the Taylor & Son Construction difference looks like. Contact us today for a free project estimate. We proudly serve Kawartha Lakes, Port Perry, Uxbridge, the Durham Region, Peterborough and the Haliburton Highlands. Taylor & Son Construction is here to help you complete every home project you can dream up! We offer service seven-days-a-week, so we’re easily able to work around your busy schedule. To learn more about what we can do or to reserve an appointment with us, give us a call, send us an email or use the handy form here to drop us a line. We’ll be glad to talk with you soon.